Heavens to Murgatroyd! The DC Comics Hanna-Barbera Beyond line is getting a new title, and we couldn’t be more pleased. 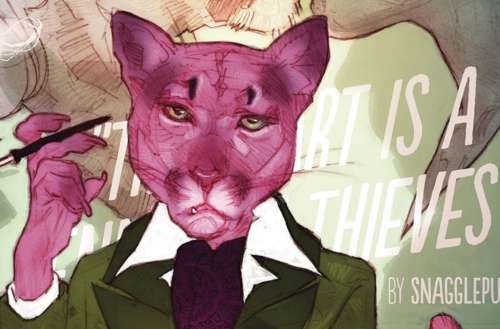 That’s right, we’re getting a Snagglepuss comic! Exit Stage Left: The Snagglepuss Chronicles takes everyone’s favorite pink puma and puts him into the paranoid 1950s. Exit Stage Left is a six-issue miniseries debuting Jan. 3, 2018. The comic is written by Mark Russell, who previously wrote the outstandingly satirical Flintstones comic for DC/Hanna-Barbera Beyond. Mike Feehan is doing the artwork, while Ben Caldwell is doing the covers. 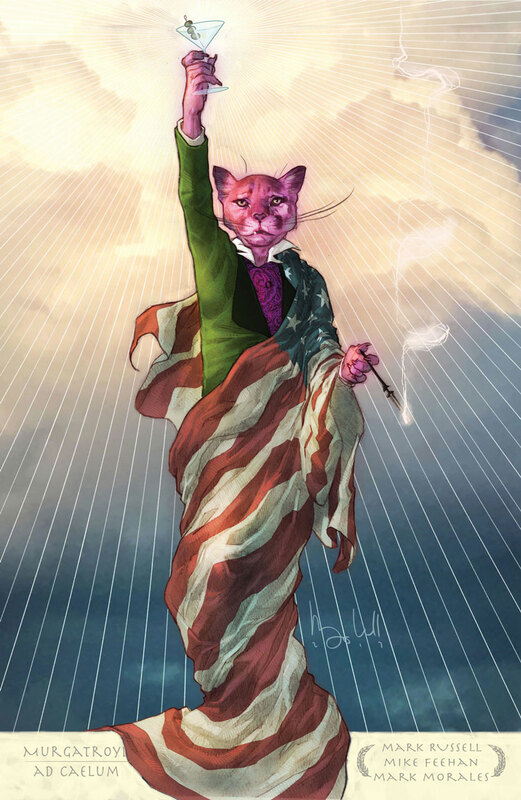 In the new book, Snagglepuss is the hottest new playwright on Broadway. He’s a genteel southern gentleman — think Tennessee Williams — married to the popular actress Lila Lion. But Lila’s just Snagglepuss’ beard (and she knows it), providing cover so the public doesn’t get suspicious. 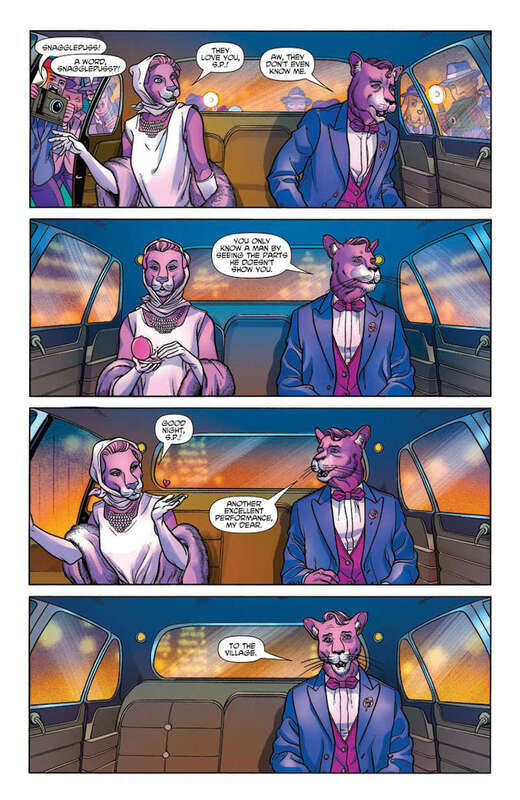 Snagglepuss does have a boyfriend in the comic — a Cuban refugee named Pablo, which adds another wrench to the works. If the public found out about Pablo, not only would being an out man (err, mountain lion) derail his career, but it’s 1953, and any hint of being even tangentially related to Communism could ruin his life. DC posted the first eight pages of the first issue. 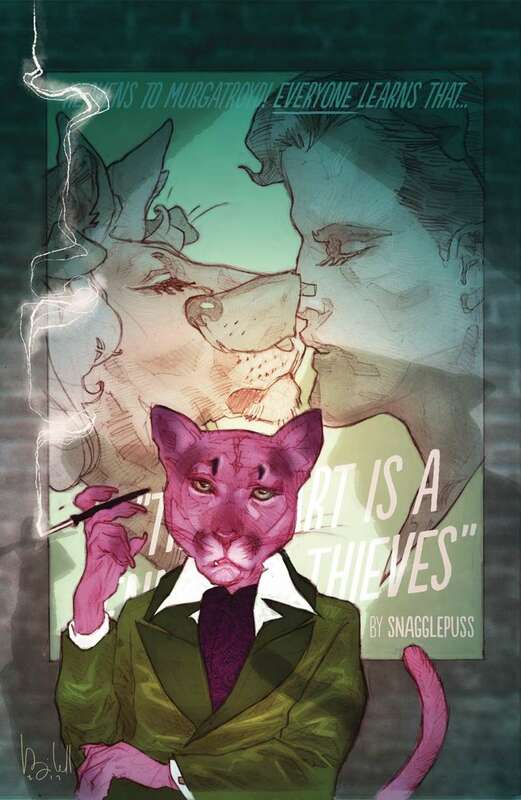 In it, we see the final scene of Snagglepuss’ play The Heart Is a Kennel of Thieves, a dark, gritty realist play in the vein of the real world’s A Streetcar Named Desire. However, Streetcar wasn’t about anthropomorphic dogs — here portrayed by a Lila Lion and a couple of humans wearing fake doggy ears and snouts. When the play’s over, Lila and Snag pile into the back of a limo. The driver drops Lila off at home, and Snagglepuss requests a ride to Greenwich Village. So far, aside from the preview, only the covers and brief synopses of the first two issues are available. But from what we know, it looks like the House Committee on Un-American Activities (HUAC) gets involved and puts the squeeze on Snag to rat out his friends. In real-life, the Joe McCarthy-led HUAC ruined a number of lives. Ironically, one of the most famous finks was Elia Kazan, director of the film version of Streetcar. Exit Stage Left: The Snagglepuss Chronicles issue #1 comes out Jan. 3, 2018. 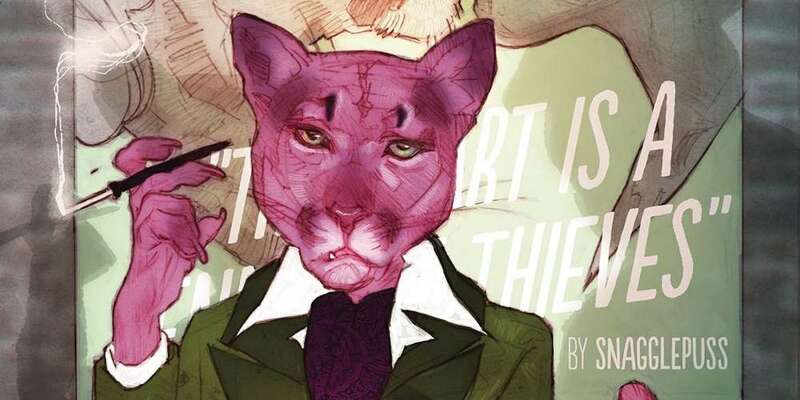 Issue #2 of the Snagglepuss comic is out Feb. 7. Read the first eight pages of issue #1 right now.